Whew! 2018 was a whirlwind! Does anybody else feel like time flies by faster and faster each year? Well last year was a whirlwind, but a great one for sure! We just finished some of our books for 2018 and our 2018 gross sales came to $84,985! The BEST part about this number is that it was achieved part-time in only 15-20 hours per week. But wait. Don't we flip items full-time? The short answer is yes, and we will dive more into that in just a bit. But to us $85K is a full-time income with part-time hours! 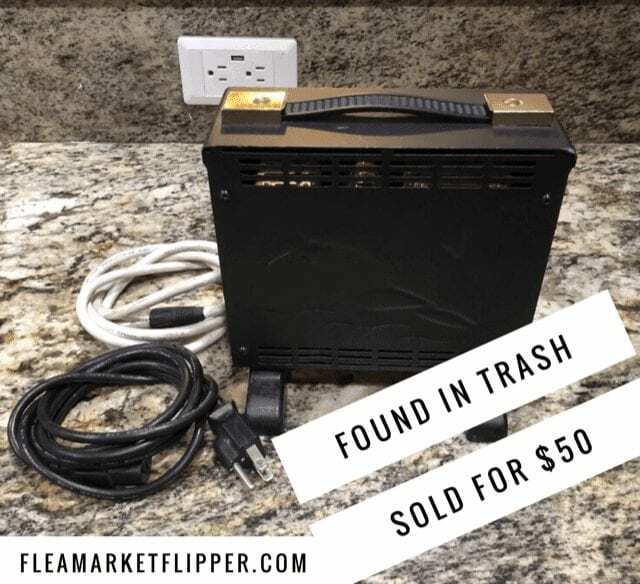 We decided to start posting our income reports here on Flea Market Flipper for several reasons when we started the blog. The first one is to keep ourselves accountable. 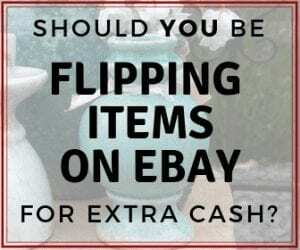 I have been flipping items for profit and selling on eBay for over 20 years now, and I didn't used to keep good track of what I made. It was always just a hobby – but one that came in handy when finances were tight. 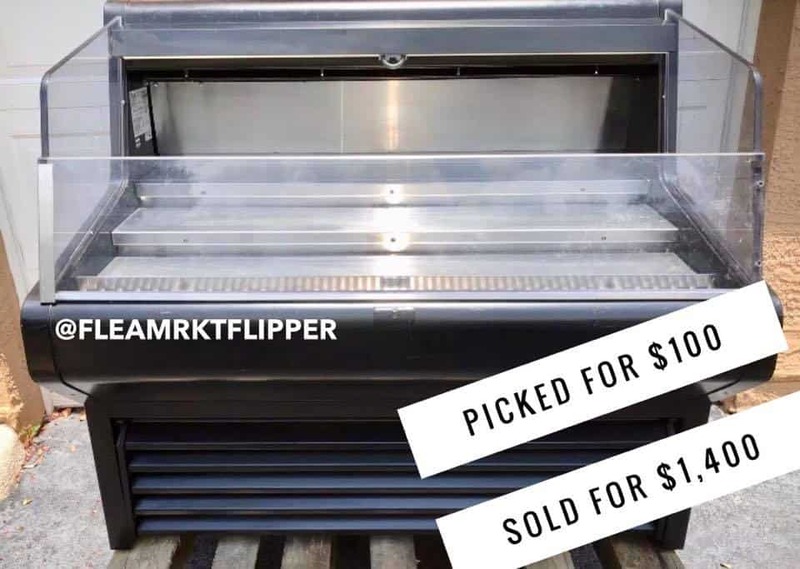 Another reason is to provide encouragement to people who want to get started flipping items for profit as a reseller either part-time or full-time. It is pretty popular in the blogging world for bloggers to post their income reports, and we always found it encouraging to read those. They help us keep going when sometimes we would rather be doing other things, so we are hoping to help the resellers out there keep going! Lastly, but most importantly is to provide value and information to our readers. 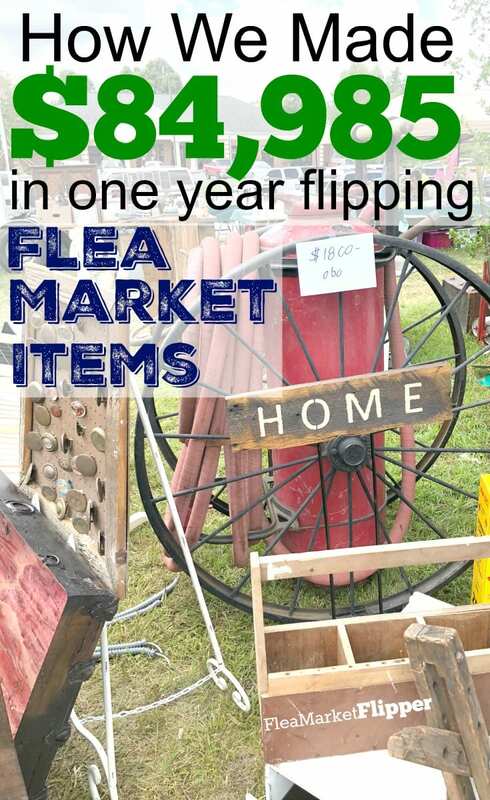 We have students and readers who are doing flea market flipping (or thrift store and yard sale flipping) as a side hustle or main gig and we want to provide information to help them become successful. 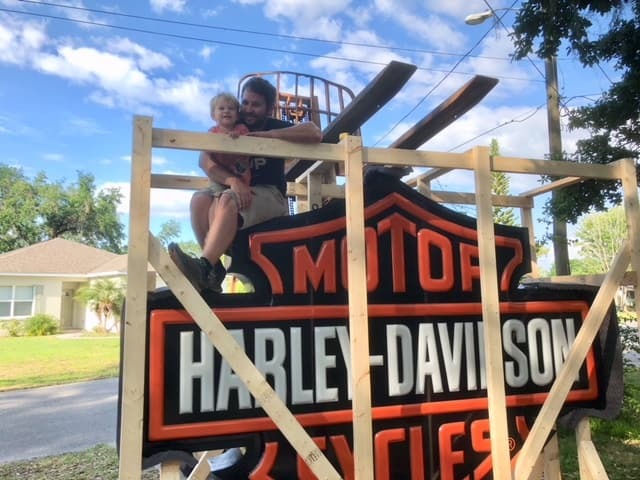 If you have been following us for a while you have heard of this infamous Harley Davidson sign flip. This was one of the most memorable flips of the year because it was the largest crate I have ever built. Not a lot of our items take crates, but this one definitely did because it was so fragile. 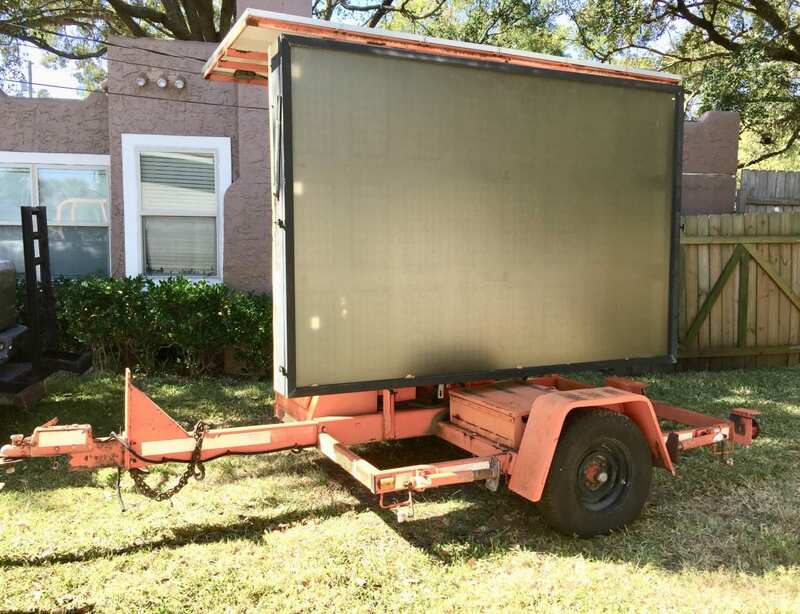 We bought this sign for $250 from a flea market vendor and sold it for $9,000 on eBay! 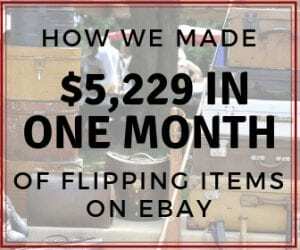 It cost $1,077 to ship, $750 in eBay and Paypal fees, so the total profit was $6,923! 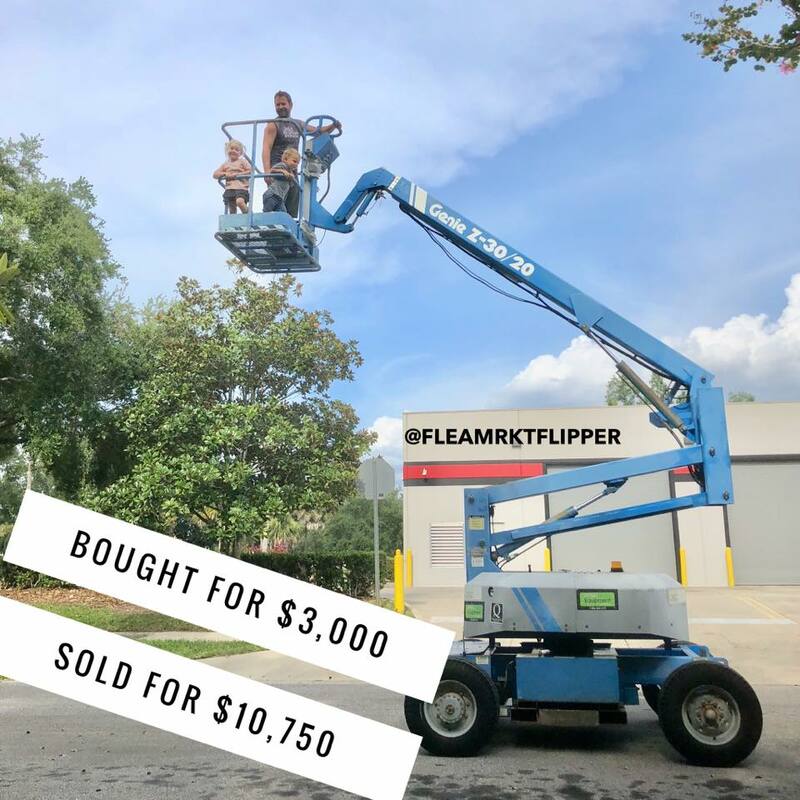 Check out another another big flip: a lift we bought for $3,500, and sold locally for $10,500! This joker was parked on the top of a parking garage when they sold it to us. It wasn't working properly so we couldn't drive it out. The problem was that if we put it on a trailer it would be too tall to fit under the height of the parking garage. We spent hours working to get this thing off the roof! But it was totally worth it and of course we love an adventure. 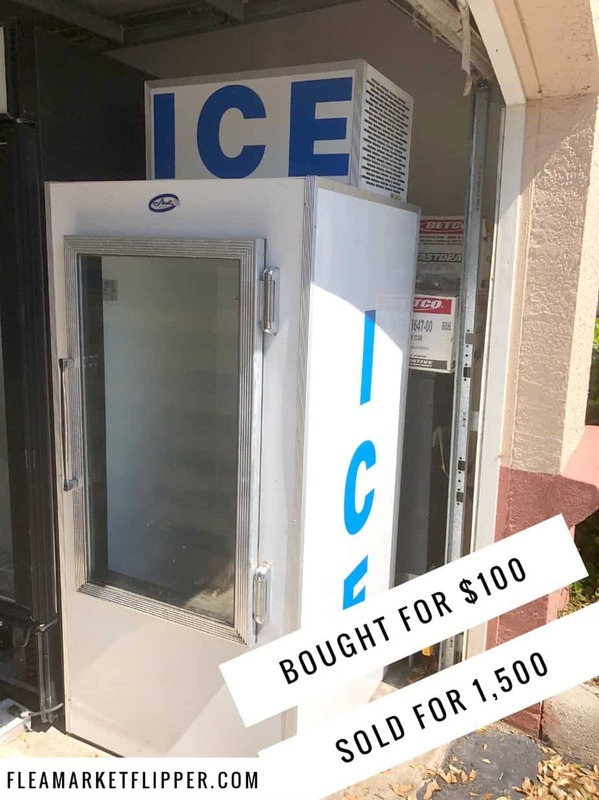 Some other great items we flipped last year were several commercial refrigerators/freezers. I bought a few from a flea market contact, and a few from a guy I found on OfferUp. Some of them worked fine and some needed some fixing up. The profit on these things were great though! I bought this one for $100 and sold it locally for $1,400, so there were no eBay fees for this one! This one I bought for $100 and sold it for $1,500 0n eBay. I included the shipping in the cost and that ended up being $195. After the $194 eBay and Paypal fees, the total profit was $1,011! So while most of these so far are pretty huge, we also made some great profit on some small things too! 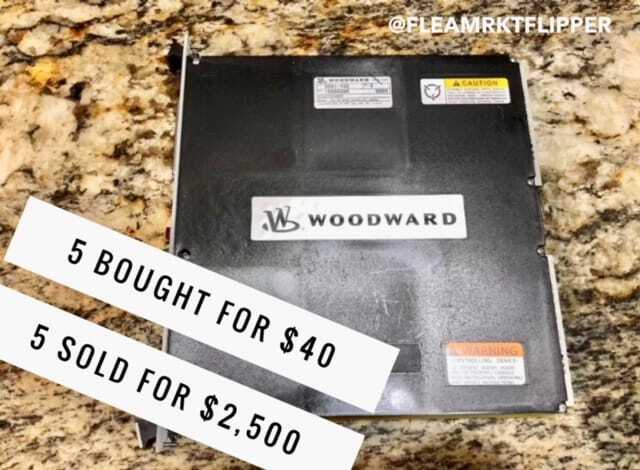 These circuit boards brought in a profit of $2,322! I bought 5 of these for $40 from a flea market contact, sold them as-is for parts and they sold on eBay for $2,500! 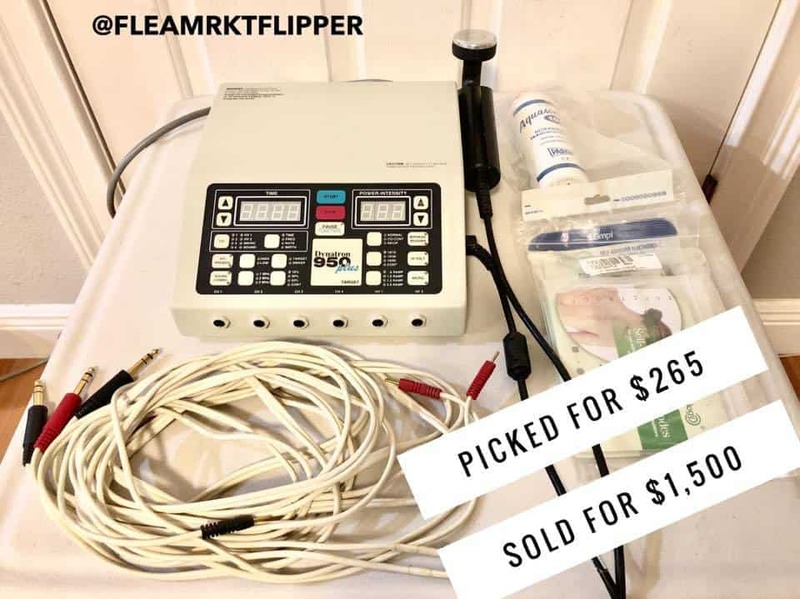 We also sold a few of these Stim machines for some great profits! I bought this one on OfferUp for $265 and sold it on eBay for $1,500! After shipping ($15) and eBay and Paypal fees ($194), our profit was $1,026! Another major highlight from 2018 was our 127 Yard Sale trip! 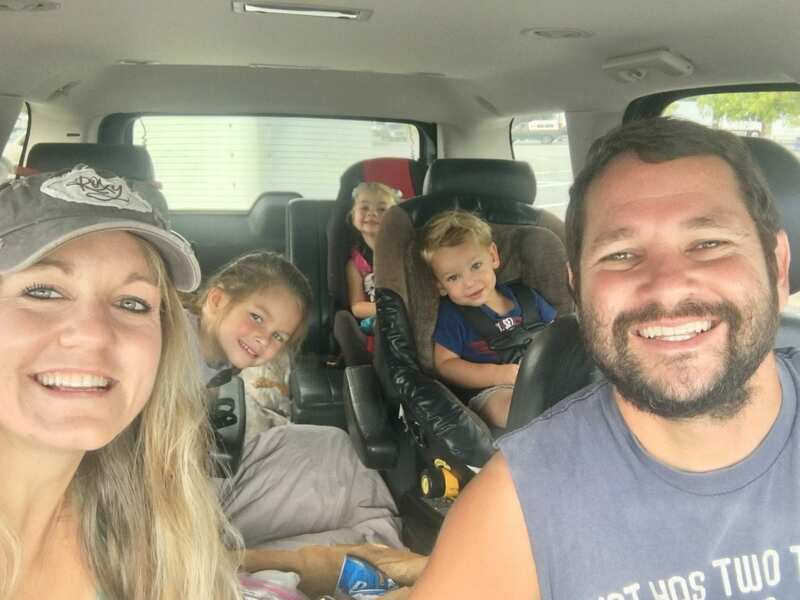 We made the 600 mile trek from Gadsden, Alabama to Addison, Michigan – with kids in tow – searching for item to flip. It was such a great time filled with a ton of memories! The kids did awesome for being dragged from yard sale stop to yard sale stop. They even let us know when they spotted ‘another flea market'. We went into the trip not knowing what to expect, and didn't plan on buying items if we couldn't get them at a good price. But we ended up with a few great flips from this trip! This shoulder therapy cuff was the first item we bought at the first stop in Alabama. We paid $25 for it and sold it on eBay in about two weeks for $300. After shipping ($20), and eBay and PayPal fees ($43), We made a profit of $212! 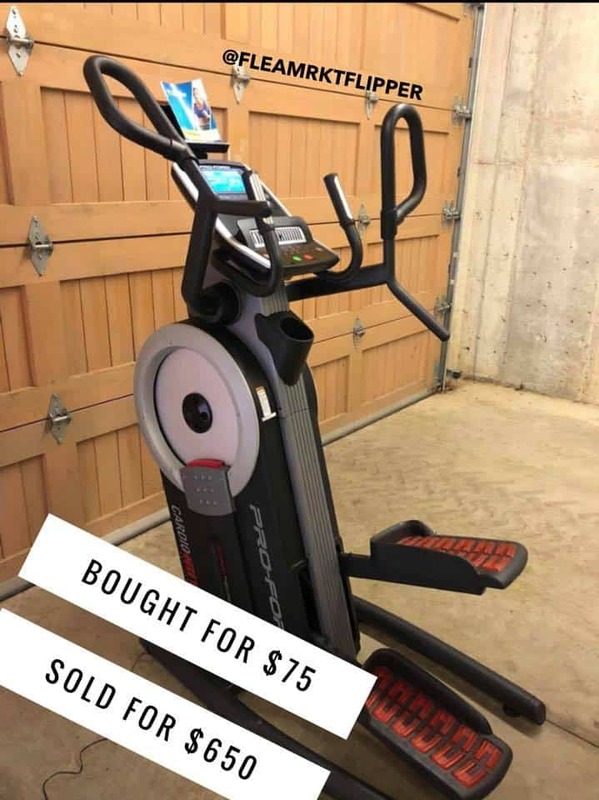 We also picked up this stair climber machine at a thrift store in Tennessee.We bought it for $75 and sold it on Facebook Marketplace for $650. No shipping or eBay fees for this one so the profit was $575! There was one day on the 127 Yard Sale trip that we were almost skunked. We ended up buying one item at the very end of the day and it was this concrete polisher. We bought it for $360 (which was our largest purchase of the trip), and sold it on eBay for $2,100! After shipping ($100), and eBay & PayPal fees ($271), we made a profit of $1,369! We are constantly talking about the stuff we find on our walks. It's amazing what people throw away! 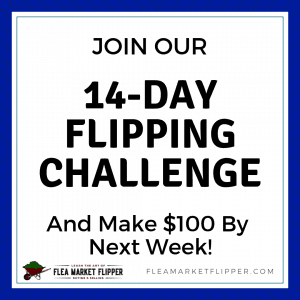 If you keep your eyes open you can find some awesome things to flip without going any money out of pocket! 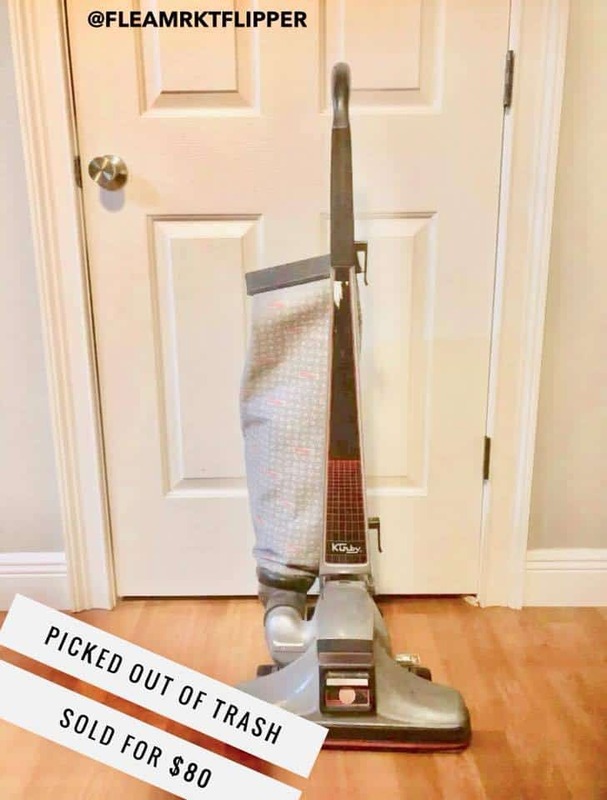 Check out this kirby vacuum. 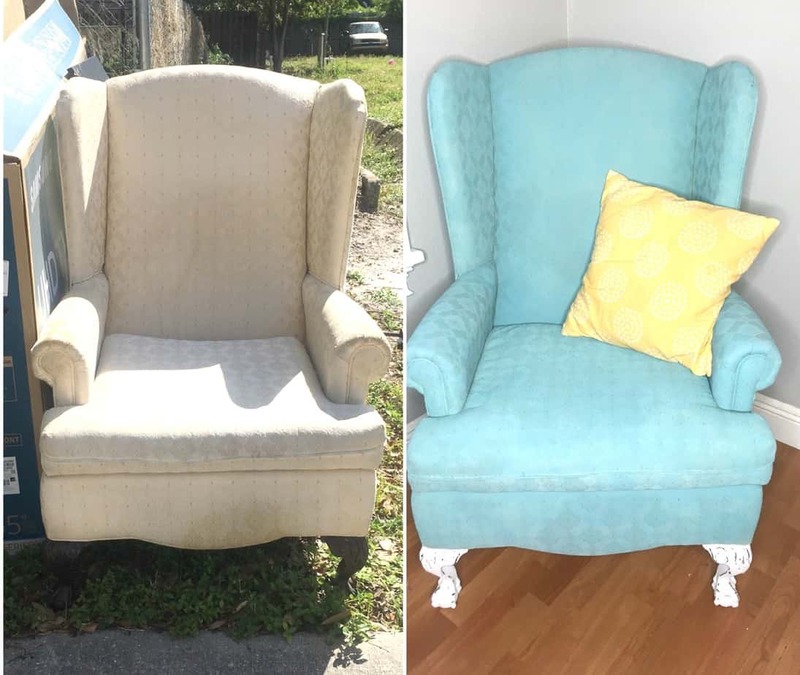 It was on the side of the road in someone's trash, so we picked it up, threw it on eBay and it sold for $80! After shipping ($20) and eBay & Paypal fees ($11), we made a profit of $49! And this battery charger was also found in the trash. We sold it on eBay for $50! After shipping ($15) and eBay & Paypal fees ($7), our profit was $28. 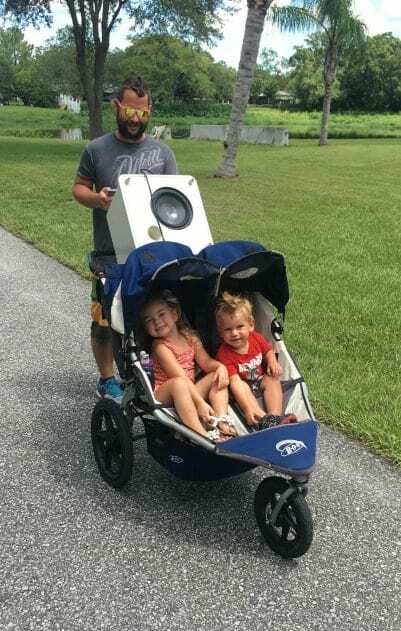 We also found this speaker in the trash Sold it on eBay in about a week for $80. After shipping ($16), and eBay & Paypal fees ($11), the total profit was $53! 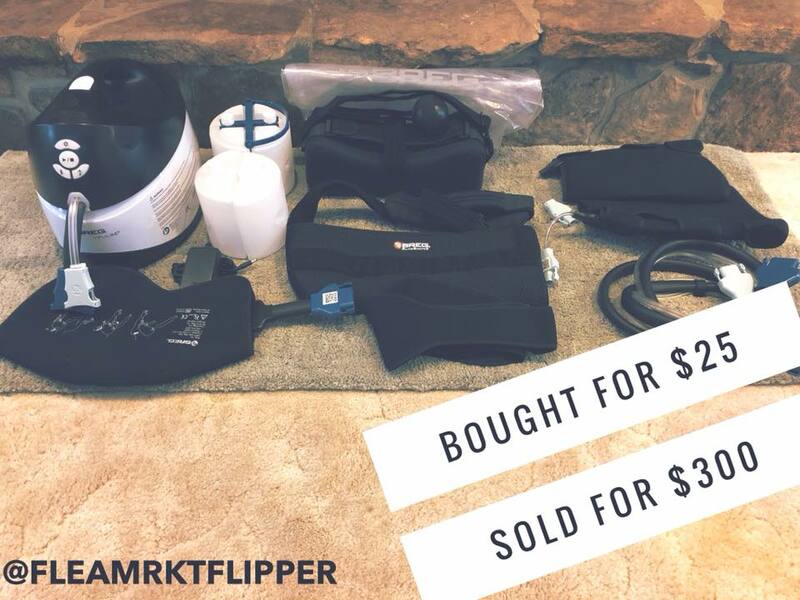 The best part about these flips is there was no investment to make a profit! You literally can start this business with no investment up front. We have also found stuff in the trash that we have kept for ourselves..
Like this chair Melissa spray painted and put in our rental house. And this steamer that we found. It needed a new cord so I replaced it and kept it! We don't do a ton of ironing in our house, so this helps out a ton when we need a shirt steamed quickly. So what about the items that didn't bring in a profit? 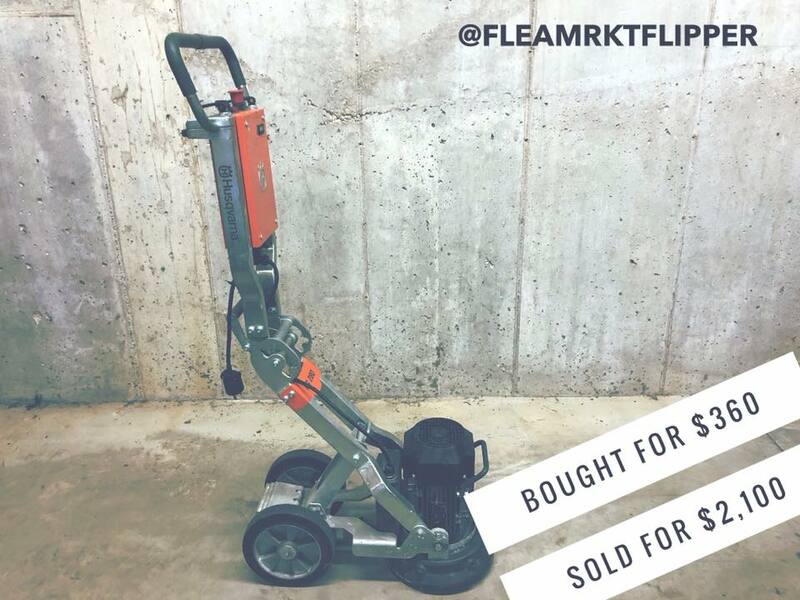 People ask us all the time if we lose money on some flips. I have to say that it's pretty easy now to do the research before you buy an item, and the profit is made in the purchase, not in the sale. That being said we did have two items this year that were less than stellar. HA! We already talked about our flipping challenge dud – the inflatable boat. 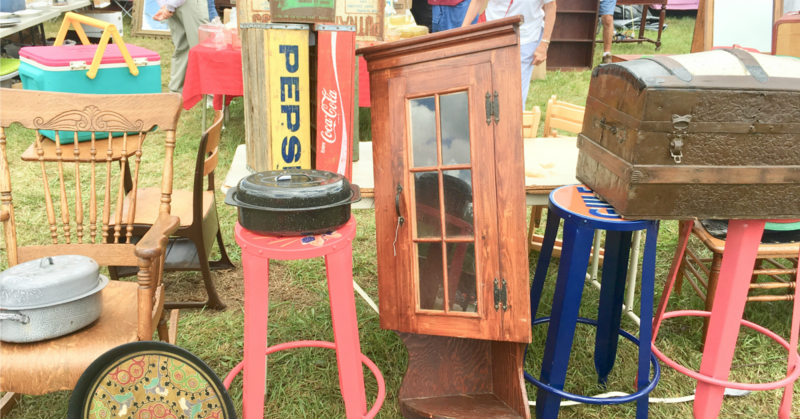 We purchased it for $200 from the flea market. 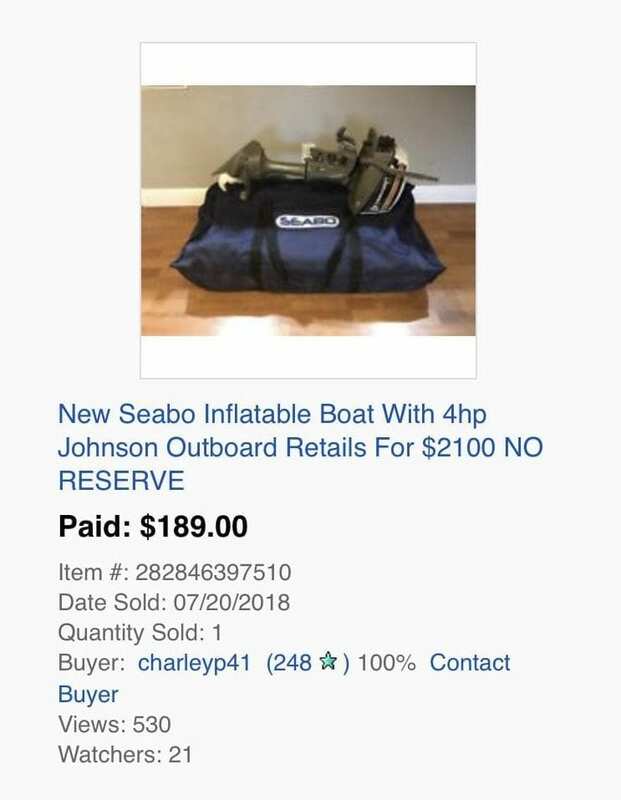 I sat on it way longer than I wanted to (I should have thought about that before buying a boat in January), and then ended up selling it on eBay for $189 just to get rid of it. The buyer was local so picked it up, and after fees ($24), it came to a loss of $35. Another item that didn't work out like I wanted it to was a road sign. It was one that was solar powered and writes messages on it to tell traffic what to do. I thought for sure when we bought this for $700 that we would make good money on it. Well, we sat on it for about 1 year so I finally lowered the price and sold it for $800 on eBay. The buyer came and picked it up, so we didn't have shipping costs. But after eBay and Paypal fees ($104), it came to a loss of $4. Those were the two losses from the year. Everything else made a profit, and most of them made a pretty great profit! In 2018 we had a total of 108 transactions which gave us $84,985 in sales. Which makes our average sale per item $787! That brings our average profit per item sold to $572! We personally love to work with the higher profit items. There are tons of resellers out there who make some great money, but they spend so much time sourcing, listing and shipping. Don't get me wrong, we are not afraid of hard work at all, but we highly value our time. 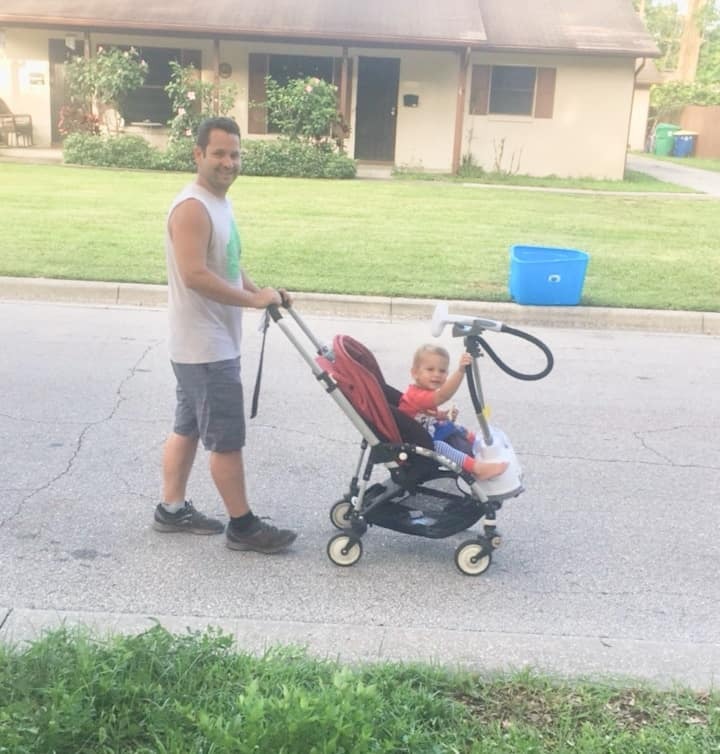 We make an effort to spend a lot of time with our kids and time for each other and our health (we walk or run almost every day). We source, list and ship items too, but it's not worth it to us for a $5 profit. 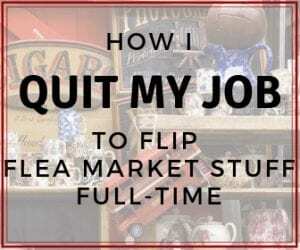 We mentioned earlier that we made our 2018 flipping income part-time, but we have also said that we flip items full-time so we wanted to clarify that. We made a full-time income last year in part-time hours. We spent on average 15-20 hours per week sourcing, listing, and shipping. 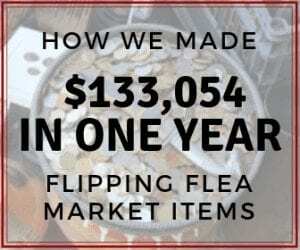 The first year we went full-time we made $133,054 working about 30 hours per week. There is a second part to our business now that actually takes up more time now than flipping items, and that is helping people who want to learn how to flip items for profit and make a side income or main income from doing it. We spend way more time during the week working on blog posts, writing course material, filming videos, answering e-mails, helping people in our members Facebook group, doing live classes, and managing all the technical aspects of an online business. Up until now it has been Melissa and I who have done everything in our online business. We decided that this year we would like to be able to help more people, and to do that we need some help. some of the daily tasks – which will allow us to have the time to help more people create an income doing something they love! 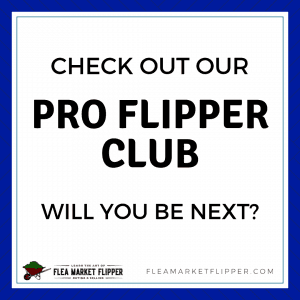 If you are one of those people who would love to make an income from flipping items from flea markets, thrift stores, yard sales and auctions, then check out our recently updated Flipper University! We would love to see you live out your passion and make an income while doing so! Amazing! First of all, you remind of Jones Salvage Yard in my favorite novel Three Investigators. Your profession is awesome, fun, profitable and inspiring me. I throw many stuff on the trash, but now I will try to sell it before throwing it. Haha – glad we can be an inspiration! It definitely is profitable and FUN! I completely enjoy doing this for a living.